Join us at our next meeting on October 15th 7 PM at the Haddon Heights Library. Speaking about the 100th anniversary of the Armistice of November 11th, 1918 will be Professor of History, Mark Molesky. Mark Molesky is a Professor of History at Seton Hall University. He received his BA from the University of Michigan, Ann Arbor and his MA and Ph.D. in history from Harvard University. He studies a wide range of subjects in modern and early modern European history, which include the Lisbon Earthquake of 1755, the European and American Enlightenments, environmental history, the history of Franco-American relations, the Holocaust, and World War I and II. 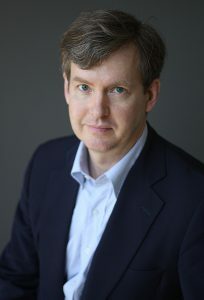 His most recent book, This Gulf of Fire: The Destruction of Lisbon, or Apocalypse in the Age of Science and Reason (Knopf, 2015), was awarded the 2016 Phi Alpha Theta Book Award and was a finalist for the Los Angeles Times Book Prize. This is a presentation you won’t want to miss. All are welcome!